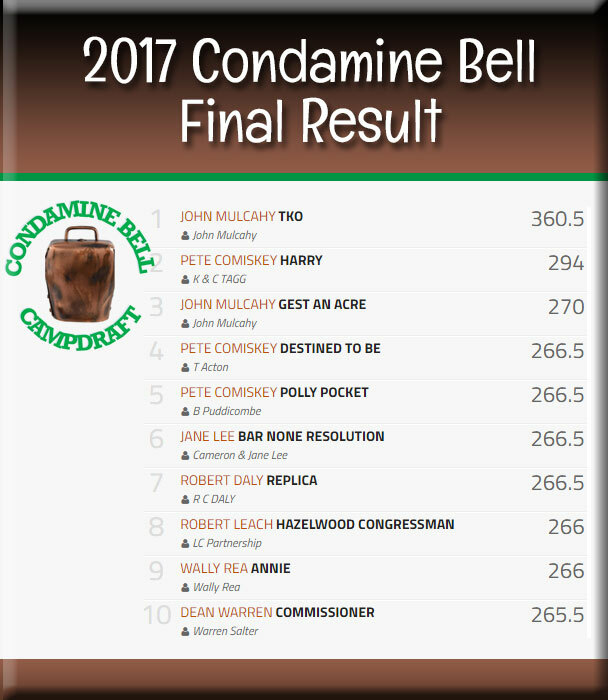 The 2017 Condamine Bell was excitement + with a tie between John Mulcahy & TKO and Pete Comiskey & Harry resulting in a nail biting run off. 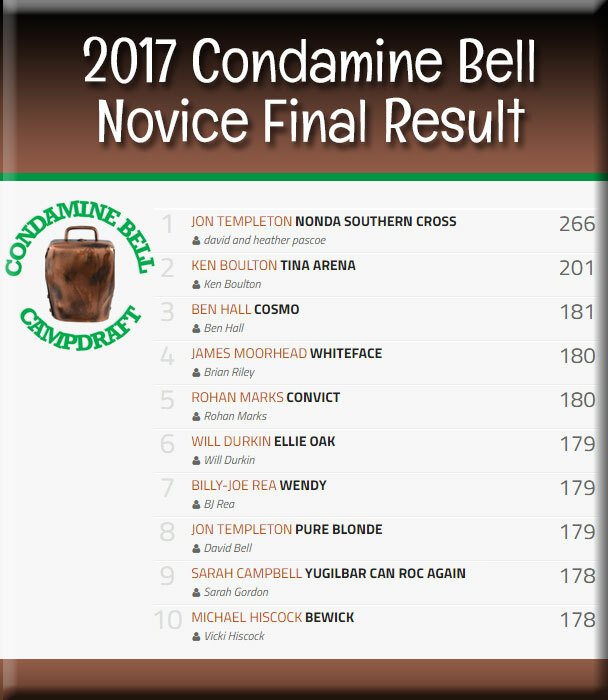 It could have gone either way, but congratulations to John Mulcahy and TKO 2017 Condamine Bell Winners. 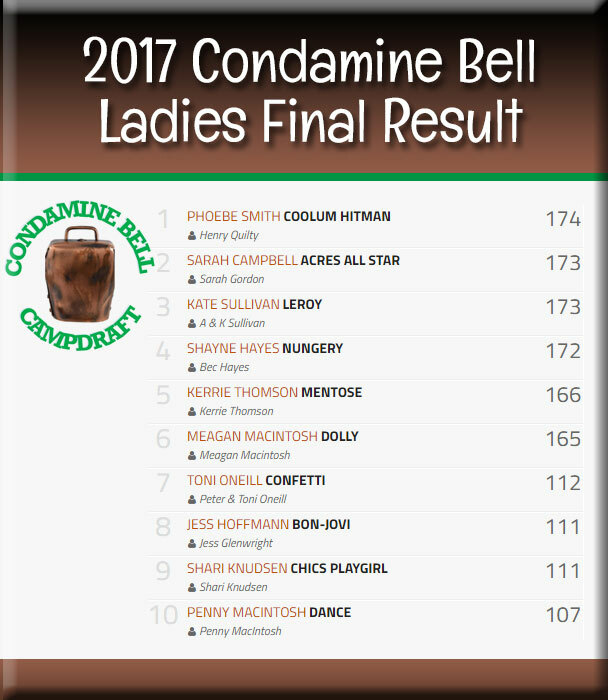 View playlist videos by clicking on icon on the top left hand corner.